It’s World Water Day, and since most of us at Ecouterre are city dwellers, we’d like to raise a glass to this year’s theme: “Water and Urbanization.” Roughly 1.8 billion people will live in water-scarce areas by 2025, according to the International Water Management Institute. An easy way to protect this dwindling resource from exploitation? Choose tap over bottled. This stainless steel bottle from Adidas by Stella McCartney not only keeps your agua cold and coffee hot, it also makes a fierce, anti-waste statement. It's World Water Day, and since most of us at Ecouterre are city dwellers, we'd like to raise a glass to this year's theme: "Water and Urbanization." Roughly 1.8 billion people will live in water-scarce areas by 2025, according to the International Water Management Institute. An easy way to protect this dwindling resource from exploitation? Choose tap over bottled. 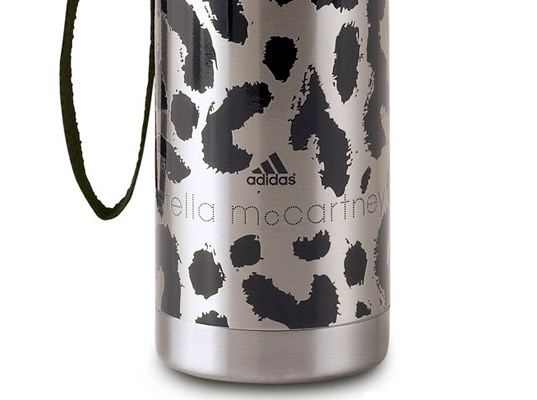 This stainless steel bottle from Adidas by Stella McCartney not only keeps your agua cold and coffee hot, it also makes a fierce, anti-waste statement.